I’m starting a regular column as a way to keep everyone informed of news and updates from the SIGGRAPH Executive Committee. I’ll be updating you on key initiatives and priorities set by the Committee as well as providing information on a range of matters that I feel are worth sharing. If you have a topic idea or question you would like me to cover, please email me. For my inaugural post, I’d like to spotlight a new award we’re offering this year, and for which we are currently accepting nominations. The ACM SIGGRAPH Practitioner Award has been established to recognize outstanding contributions to the practice and advancement of Computer Graphics and Techniques. 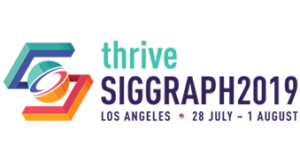 With this award, we want to honor individuals who are influencing the SIGGRAPH community through practice rather than through research; the result of their contribution is significantly influencing or being used by other practitioners in our field. I’m thrilled that we have this new award in place in time for it to be presented at SIGGRAPH 2018. I am looking forward to paying tribute to someone whose work is having an immediate and practical impact on our SIGGRAPH community. The recipient of the inaugural Practitioner Award will receive a plaque, a $2000 honorarium, as well as travel and registration expenses for the North American SIGGRAPH conference, which will be held in Vancouver this summer. To read about the award criteria and for further details, visit our awards page on the SIGGRAPH website.